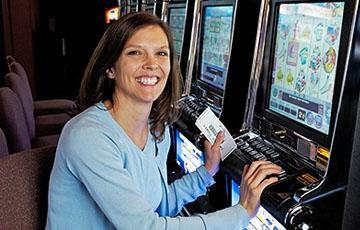 Thinking of using a slot game strategy to take your game to the next level? We don’t blame you. They’re fun. They’re thrilling. And they could lead to big wins if you know what you’re doing. No clue what you’re doing? No worries. We’ve got five slots strategies to help you maximize your potential for a higher win rate. There are so many different slot game strategies that it can be a real pain to figure out which one is right for you. Some strategies recommend increasing your bet when you win. Others recommend decreasing it when you win. Some say not to increase it per bet, but increase it per session. When it comes down to it, some strategies will feel more comfortable to you than others. To figure out which one is right, start off by playing free games. At Silver Oak Casino, you can play free slots without making a deposit. And even after you do make a deposit, you can continue to enjoy free games. The free slots give you the opportunity to hone that strategy and really make it work for you. When you deposit, you can get a little extra from the house using a deposit bonus code. There are codes for new players and codes for existing ones. Take advantage of them because you could arm yourself with extra bonus cash to play with. With more ammo, you can make that strategy go even further. If you’re employing a betting strategy that involves lowering or raising your bet after each win or loss, you’ll need to avoid the AutoPlay function. With AutoPlay turned on, the software will spin for you using the last bet and line selections you made. If the function is enabled, you won’t be able to adjust your bet for each spin after a win or loss. Remember, AutoPlay isn’t on by default, but if you turn it on, remember to turn it off. Here’s the thing about slot strategies: They have their ups and downs. So rather than riding the roller coaster of bets and chasing losses, set a time limit for play. Make it 10 minutes. Make it 30 minutes. Make it an hour. Make it whatever you’re comfortable with. Just make sure you stick with it. At the end of the session, power down and count your winnings. Let’s say you deposit $100 and play it up to $1,000. You might be tempted to play that $1,000 and build it up higher. You could be successful, or you could end up losing it all. So instead, we recommend you set a day of the month to deposit and a day of the month to withdraw. Or multiple days if that works for you. So, let’s say you deposit $100 on the 1st of the month. Mark your calendar to withdraw what’s in your account on the 8th of the month and deposit again on the 10th. This way, you’ll only commit to depositing a set amount per month, and you’ll be able to sock away those winnings without the risk of losing it all. Ready to put these slot game strategies to the test? Start at Silver Oak Casino. We’ve got a gazillion online slots to play, so check them out and maximize your winnings now!